BagCo is pleased to introduce the new HoneySuckle® range to our customers. As the exclusive provider of HoneySuckle® to Australia, New Zealand and the Oceana region, we have redefined the market to provide mothers with a product that is safer for your baby and our environment. 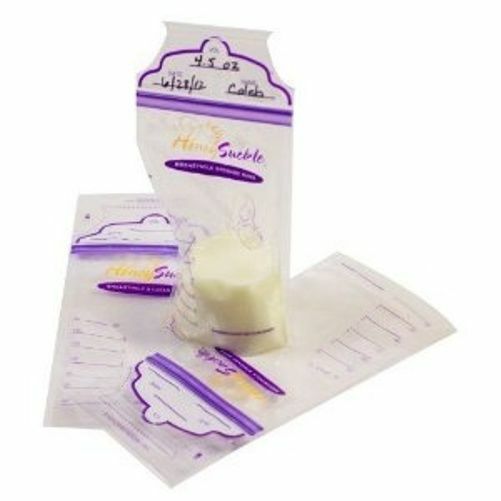 The HoneySuckle® Breastmilk Storage Bag is specially designed to meet the highest standards in breast milk storage. Safe and clean, these bags come packed in a convenient zip-pouch packing bag, making them the most economical and hygienic bags available. For correct use please don't overfill past the measured marks, ensure both seals are zipped tight, and the bag must stand upright for storage, freezing and de-freezing of milk to eliminate any possibility of spillage. Payment can be made either by Cheque, Direct Deposit (EFT), PayPal or Credit Card. 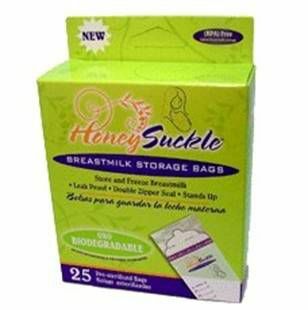 The HoneySuckle® Breast Pump Storage Bags are a single step milk storage bag which is eco-friendly, recyclable, virtually leak-proof, BPA free, tamper evident and there’s no need to pump into bottles first, eliminating risk of spillage. 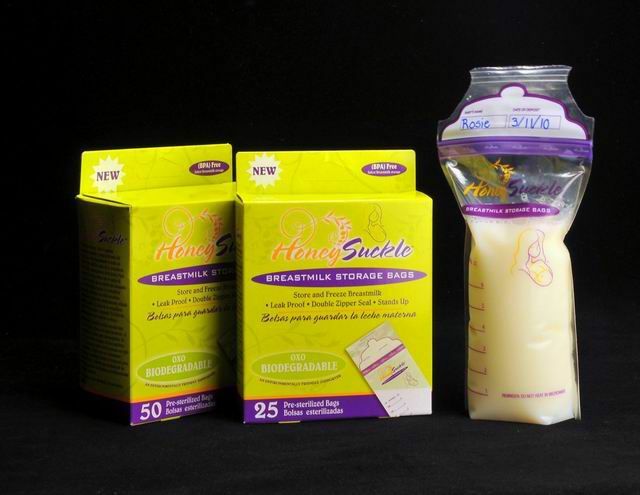 The single step HoneySuckle® Baby Food/ Small Breastmilk Storage Bag is eco-friendly, recyclable, virtually leak-proof, BPA free, tamper evident and there’s no need to pump into bottles first, eliminating risk of spillage.